The VetLine Full Flush Exam Table features a great alternative option to our stainless steel exam top. The table top is made of high grade, pressure treated black laminate and measures 22"W x 44"L. It is easily sanitized and will hold up to years of use. 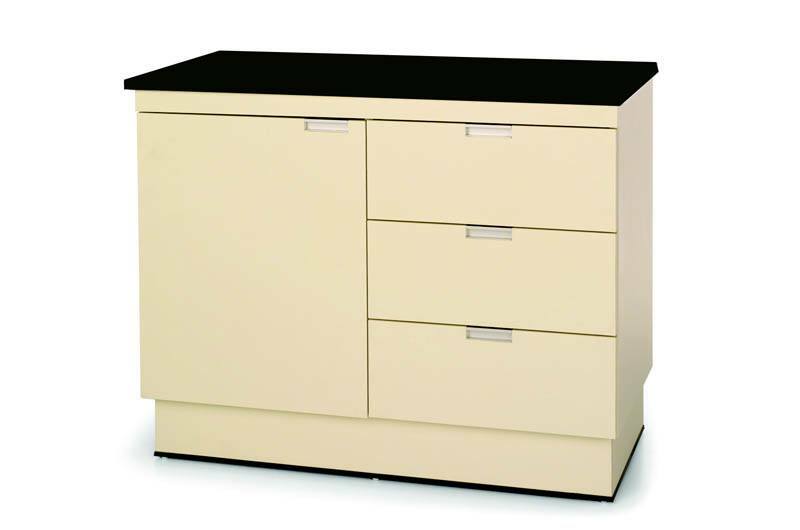 The spacious side cabinet has 3 full extension drawers and a large cabinet with one adjustable shelf. The cabinet interior is coated with moisture and stain resistant melamine. The standard cabinet color is almond, but you can choose from our other available colors at no additional charge. All units are 36" high.